That is exactly what it reminded me of too. The loss of the quartet name will make them potentially have more chances outside of SGM, but it might further irritate the fans who don’t care for the direction they are going and further add fuel to the fire to the rumor they are leaving SGM even though I don’t think they are. If they are smart, however, they will hang on to the old domain name and have it forward to the new one and site. Otherwise someone else can get a hold of it and use it for bad, people who go to the old won’t know where to go necessarily, and if they ever decide to go back to the old name the address might be unavailable for purchase. It would only cost them probably around $10 or less a year to keep the old domain name. 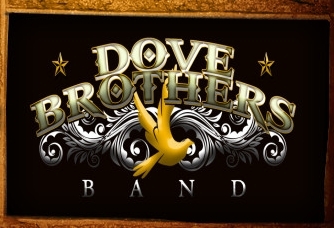 McCray still has the old domain so if you do enter it then you will go back to the http://www.dovebrothersband.com. No worries. I take it you’re married too. Lol. I did talk to McCray and he is or already has ( not sure which ) gonna fix the link to the website. I had someone email me about that and thought I’d check myself and it wasn’t linked up at the time I replied to you. Sorry about all that. Brandon…what did you think of them Sunday evening? It thrilled Lynn and I to death that you Harold and Tammy came to Bristol. I always love seeing you all and appreciate your support more than words can say. You guys are my family and WE LOVE YOU!! The sight looks great on my phone. It’s 3:30 am and I’m patiently waiting on the bus again in Columbia SC. Lol. I might go to bed in the truckstop.